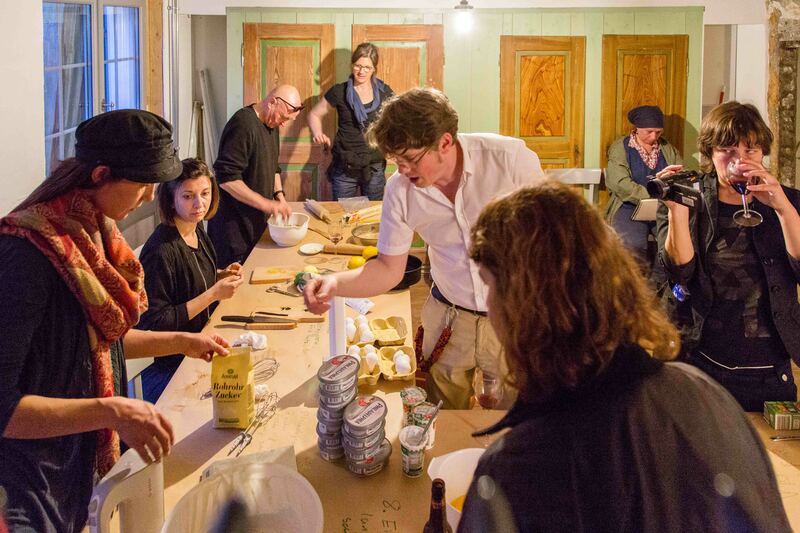 Practical Fridays is a workshop series, founded and coordinated by artist Philip Matesic since 2013. The series expands practically on the "Each One, Teach One" philosophy of Theory Tuesdays. Instead of discussing a theoretical text, participants have a hands-on, collective experience of learning something practical from a non-professional. 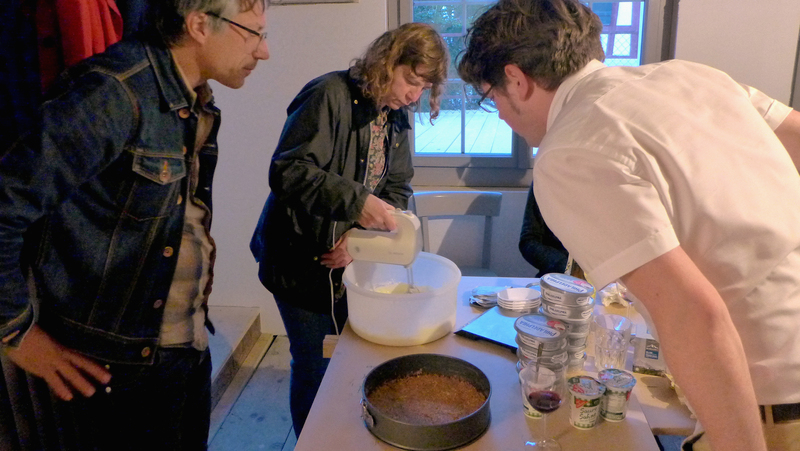 Each workshop is run by a different person at various locations in and around Zurich, Switzerland. 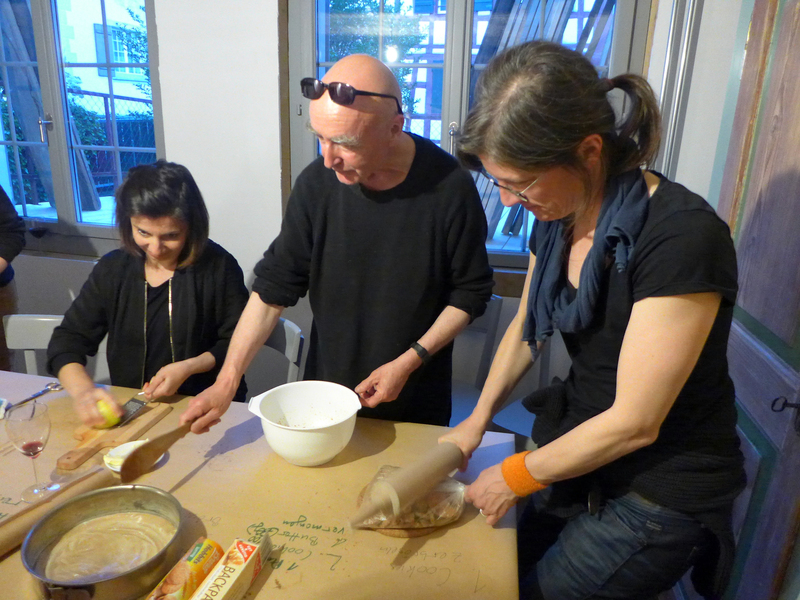 This Practical Fridays workshop was the first course of WHAT’S COOKING? A re-arrangement (on collaboration and parasitic strategies). 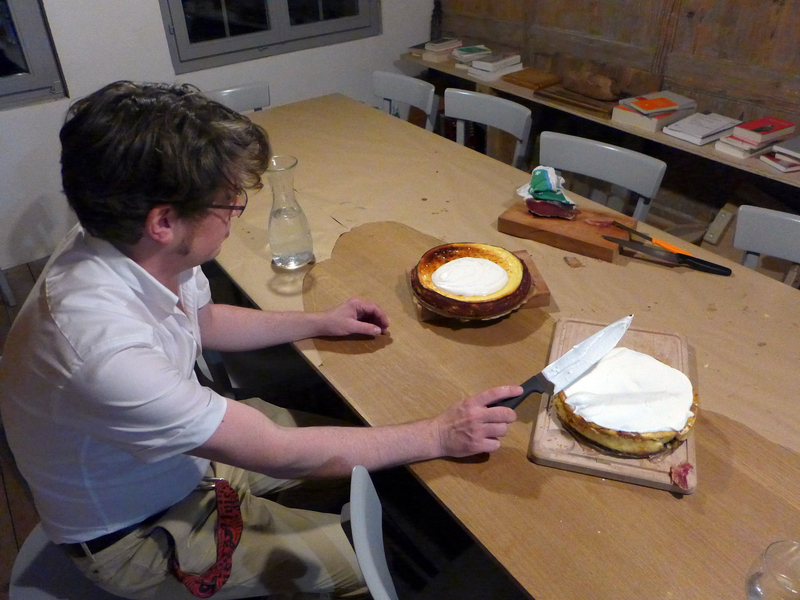 The New York Cheesecake is an extra rich cream dessert, the production of which is not only labor intensive but also uses up considerable amounts of raw materials (cream cheese). The competitive cult of its artisan production interestingly culminated for the first time during the revolution of industrial production in the era of the Fordism. 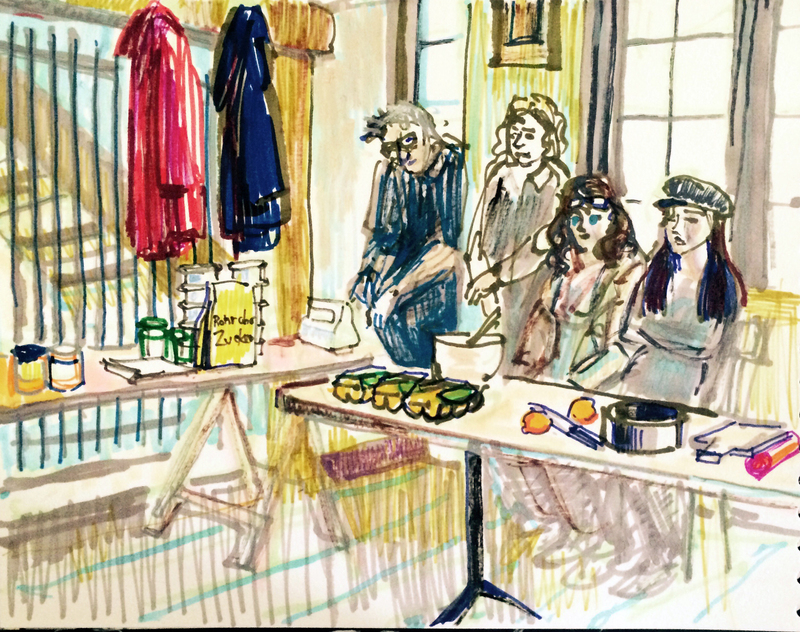 On the occasion of the 199th birthday of Karl Marx, hobby cook/confectioner and dilettante Marxist Matthias Meindl not only bakeed the cake with the participants of this Practical Fridays workshop, but built (with them) a NYCC assembly line, thus organizing a collective experience of command and corporation, solidarity and alienation, and if the enterprise is successful: of the incomparable richness of a New York Cheese Cake! WHAT’S COOKING? is a series of processual and discourse oriented curatorial re-arrangements. Built as 50-hour nonstop gatherings, it features positions from the fine arts, artistic activism, theory and curating for a simultaneous production, presentation, discussion and documentation. WHAT’S COOKING? aims to reflect actively on individual involvement, possible collaboration and understands the unforeseeable as its prerequisite. Each gathering brightens its shape through calling on a local community as well as visitors to actively participate and spontaneously intervene from the starter to the dessert. WHAT’S COOKING? was organized by data | Auftrag für parasitäre* Gastarbeit.